In the eyes of photographer Jatiewpainai, Hoi An has ancient and poetic features thanks to possessing many unique architectural works. Hoi An - an old city with typical yellow walls or bright red lanterns attracted the attention of many domestic and foreign tourists. 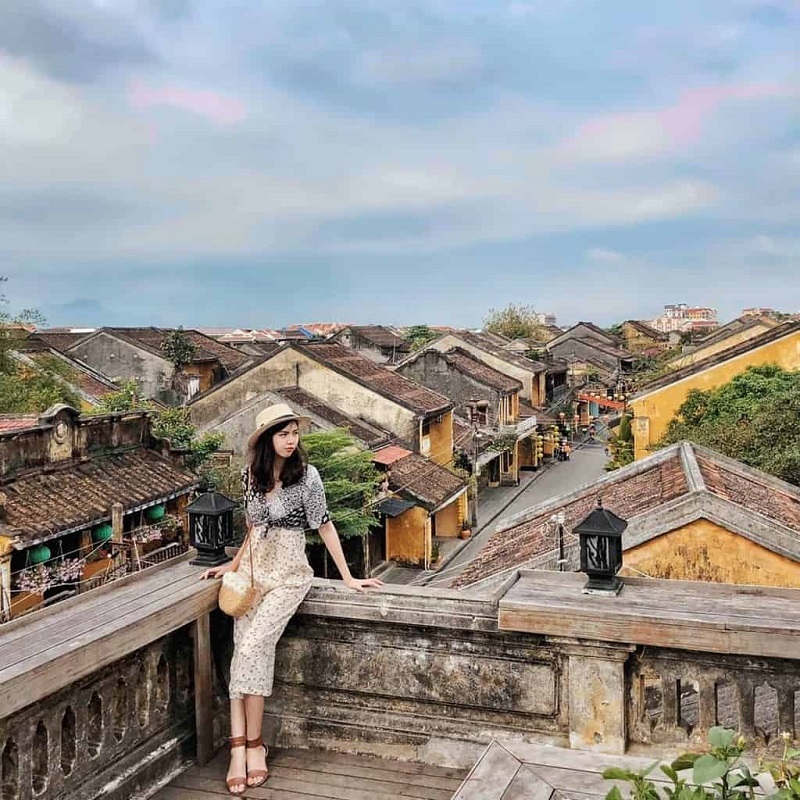 During a visit to Hoi An with a friend, Jatiewpainai - travel blogger Thai with nearly 44,000 followers on Instagram recorded some beautiful scenes featured here. The travel blogger also offers some useful suggestions for readers about some interesting places to visit in the beautiful old town. 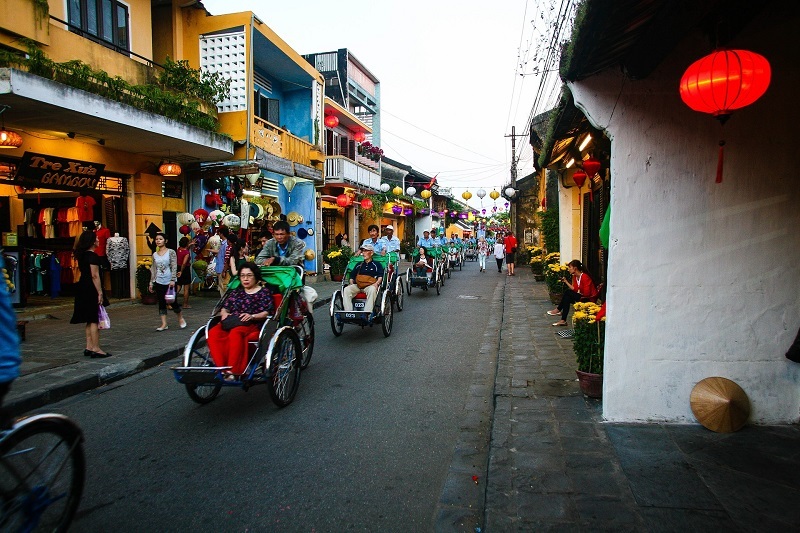 Don't miss the old town: Hoi An is the intersection of East - West culture. 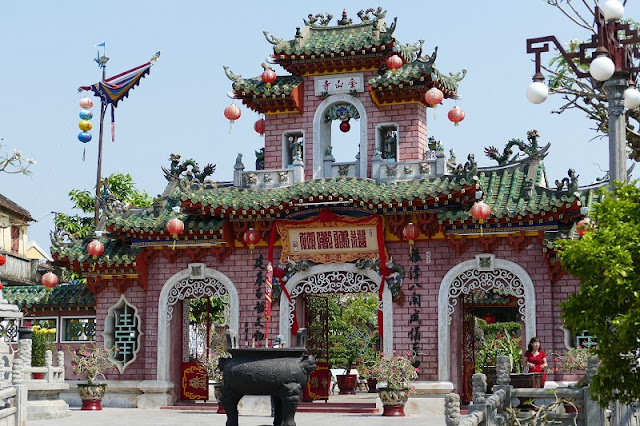 It is impressive thanks to the quintessential combination of Vietnamese, Chinese, Japanese and European countries in both cuisine and architecture. It is most clearly shown on the typical streets in the old town. Take a relaxing bike ride in the city, you will catch many small details with a breath of beautiful daily life. Therefore, the advice of a travel blogger is to record the wide-angle image as possible. Each old house, local people and even very ordinary activities recorded in one frame will make the photo more impressive. Visiting Phuc Kien Assembly Hall: Hoi An has many halls, but Phuc Kien Assembly Hall is the most outstanding work because of its palatial beauty, magnificence and majesty in a large space, distinctive Chinese architecture. . With red, blue, yellow and white colors that blend in with tradition, it is not difficult for you to capture beautiful pictures at any corner here. One point to note is that your outfit should be discreet enough with the sacred space here, but also in tune with the architectural colors of the clubhouse. Don't hesitate to step inside to explore small corners, brick floors or gates that other travelers often overlook or forget. Now customizing the camera on the smartphone in normal shooting mode, telephoto angle helps to turn on the subject, or the wide angle to cover all details can capture beautiful pictures. 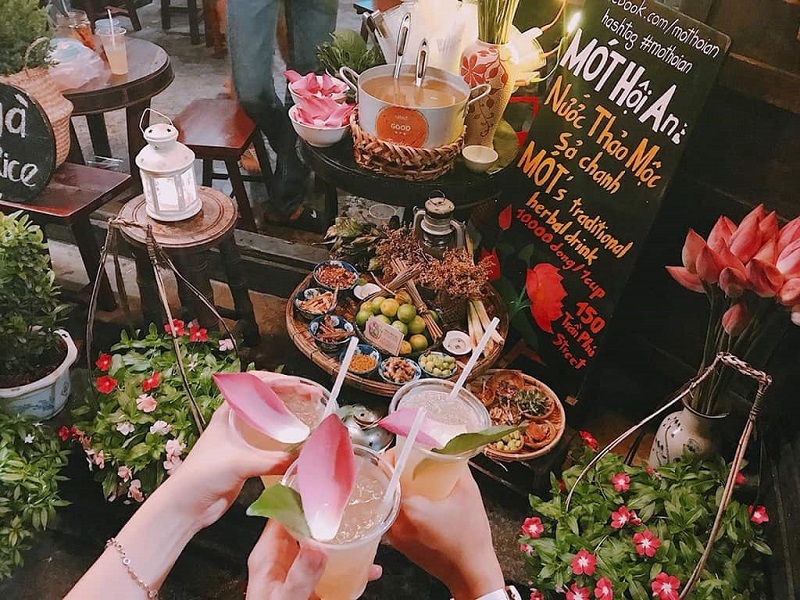 Enjoy cool Mot tea: The most famous sidewalk tea shop in Hoi An is not a luxurious space, but enough to impress when visitors stop. In the old house, the small and beautiful Mot tea shop decorated in the old style is a destination not to be missed for you. The lovely bamboo basket with a small cup of pottery presents all the herbs like honeysuckle, cinnamon, aromatic fruit, lemon, lemongrass ... is the feature here. Streets at night: The night falls, Hoi Hoi is dressed as a glamorous new shirt, with a combination of quietness of ancient architecture and the excitement of modern life. 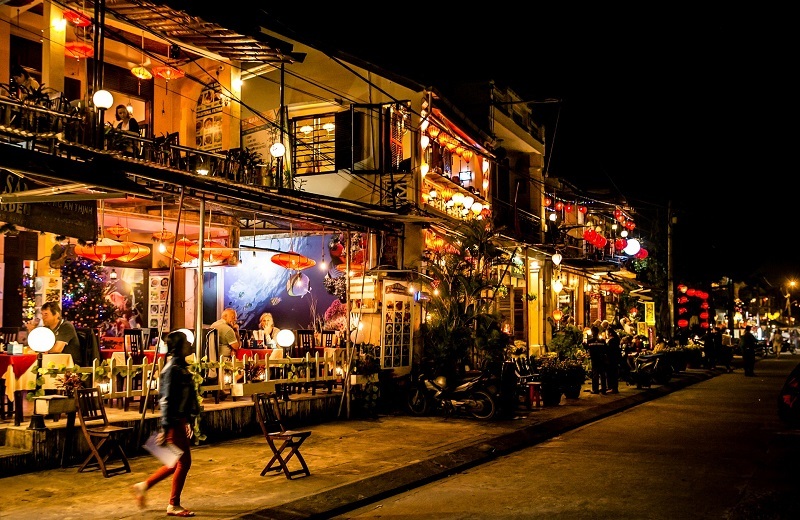 The highlight of Hoi An ancient town at night is the area near the bank of Hoai river. Therefore, you should take the time to walk around Bach Dang street with golden lights from the old houses looking down at the ball, the Cau Pagoda shimmering or each store is full of lanterns that glow all around the corner. FaiFo Coffee: This cafe is one of the most visited destinations for young people in Hoi An. Not only attracting tourists by the famous overhead corner, the shop also has a quiet space with simple but cozy layout with the main golden-brown tones. Choosing Vietnam for your vacation is an ideal choice. Apart from Hoi An, Vietnam still has many other interesting destinations such as the Northwest with majestic terraced fields, Halong Bay, a world cultural heritage or pristine green beaches. 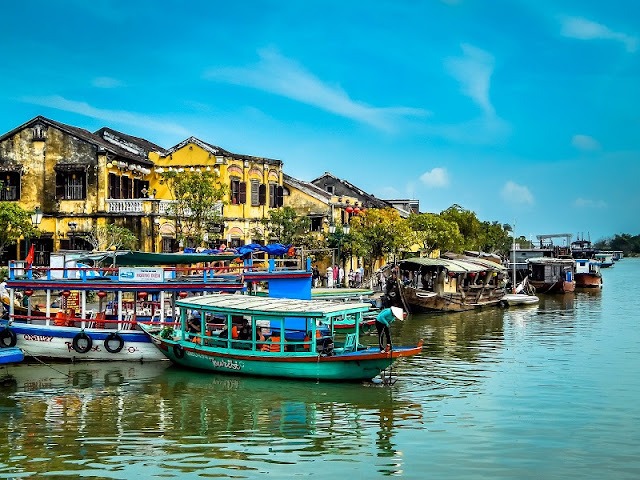 What you need to do now is choose a travel company to accompany you on your trip in Vietnam, and Vietnam Typical Tours is always our number one recommendation for you.